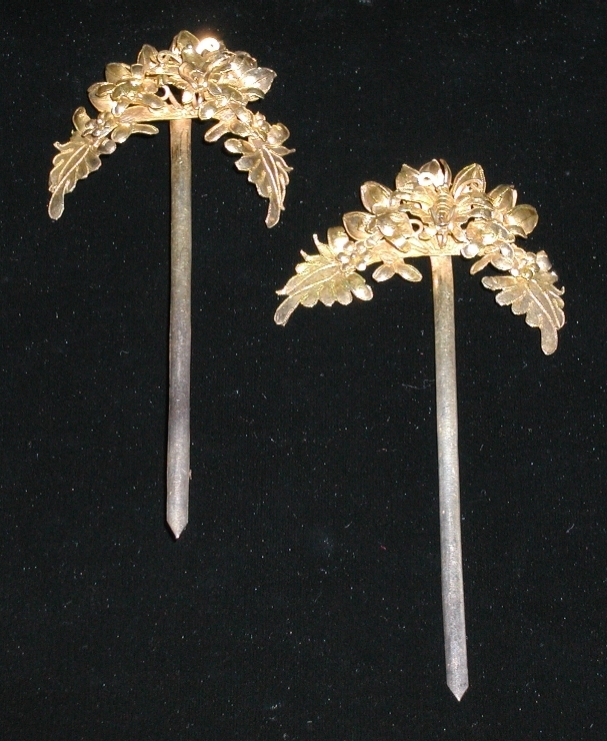 Gold hairpins with 'RuYi' wordings. 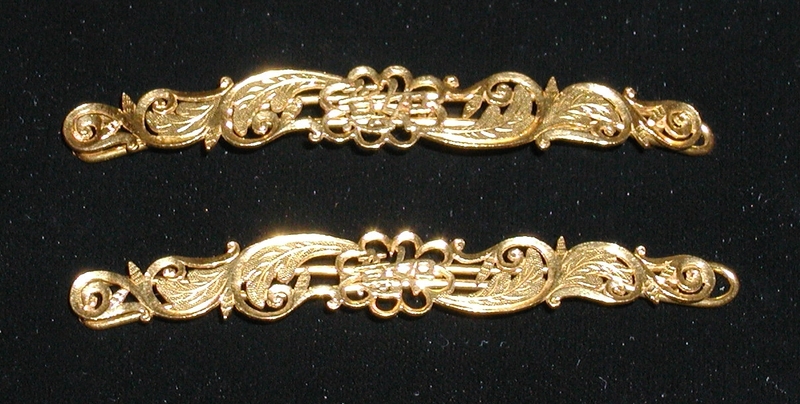 A pair of gilded hairpins. 1930's Nonya hairpin of gold and intan.